Company - FTC - Frozen Topsoil Cutting Ltd. In 1997 brothers Brent, Jeff and Doug Biegel of Fairview, Alberta developed and patented an implement which has appeared to solve many of the problems surrounding quality topsoil salvage. Frozen Topsoil Cutting Ltd. developed an environmentally-friendly product which has experienced great success in Western Canada over the past 13 years. Now the company is offering this patented technology across Canada. 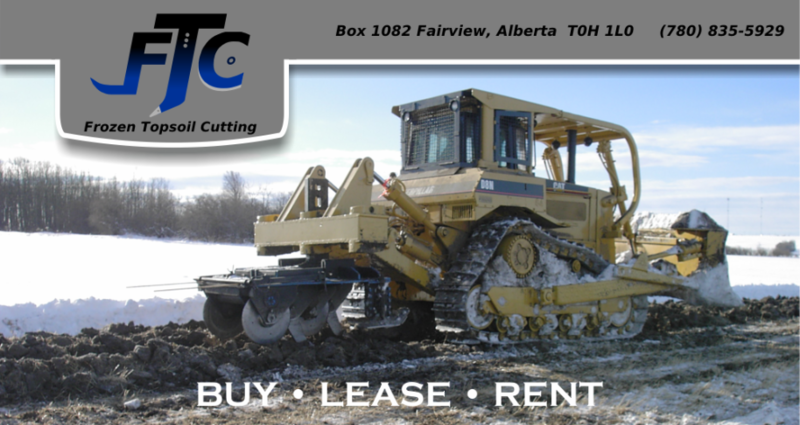 FTC- Frozen Topsoil Cutting Ltd.
To purchase, lease or rent please contact us for more information.